This vineyard used to belong to our neighbours. Hoping to be able to buy it someday, our father rented it from them for over ten years. He finally bought it in 1992, but at that time couldn’t afford to replant it. He passed away in 2008, before being able realize his dream. We started clearing the land in 2009, planted the first vines in 2011, and produced the first vintage in 2015. This is a wine already packed with history ! 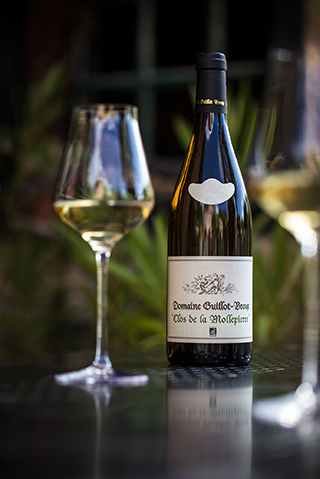 For this cuvee we asked Bruno Quenioux, cellarman at Philovino in Paris, and also hero of our graphic novel “Un Grand Bourgogne Oublié”, to find a chef for this matching. He did a fantastic job – thank you Bruno ! 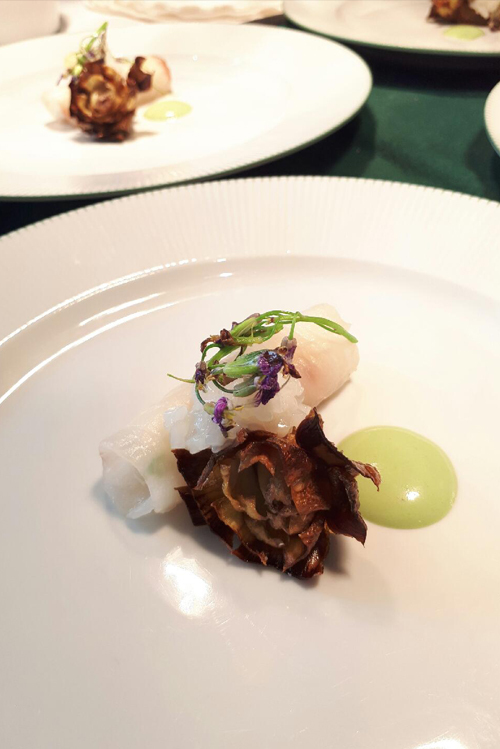 The chef : Christophe Pelé, from the 2-star Michelin restaurant Le Clarence in Paris, suggests raw sea bass, mozzarella and fried artichoke, with a sorrel sauce. 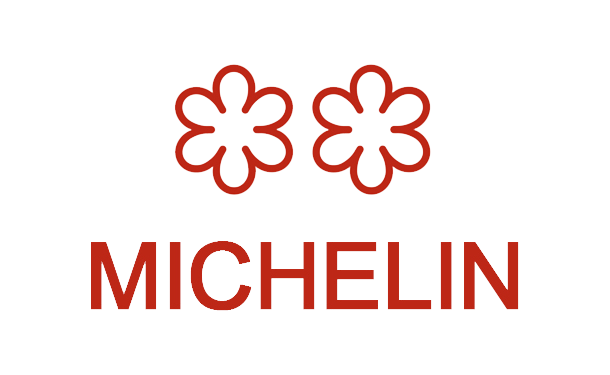 This is our newest terroir, and we believe it will be our best. 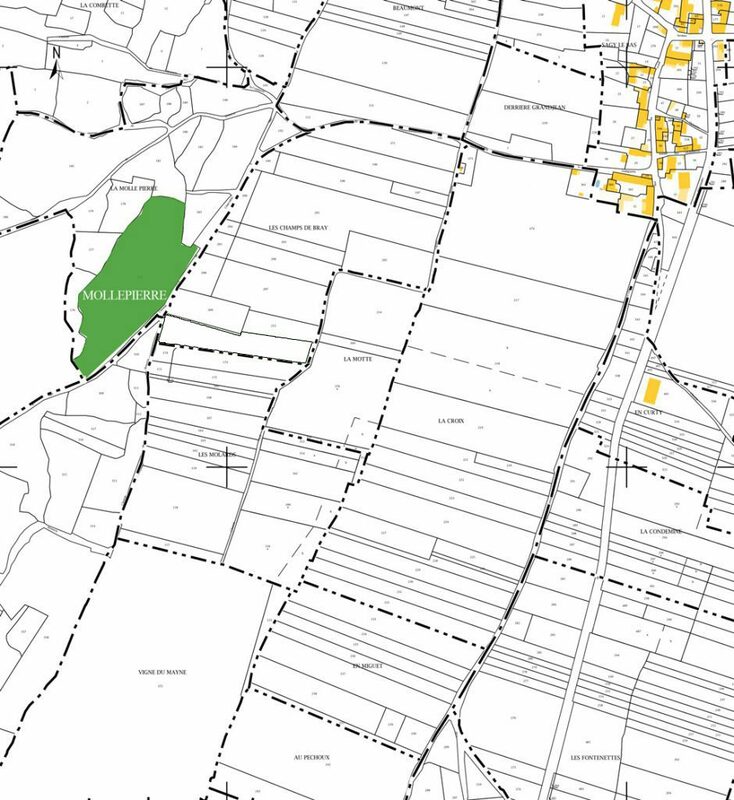 We bought this plot, which had been abandoned since the phylloxera crisis, for less than 800€ … The clos, surrounded by a dry stone wall nearly two metres high, was originally owned by the Abbey of Cluny. 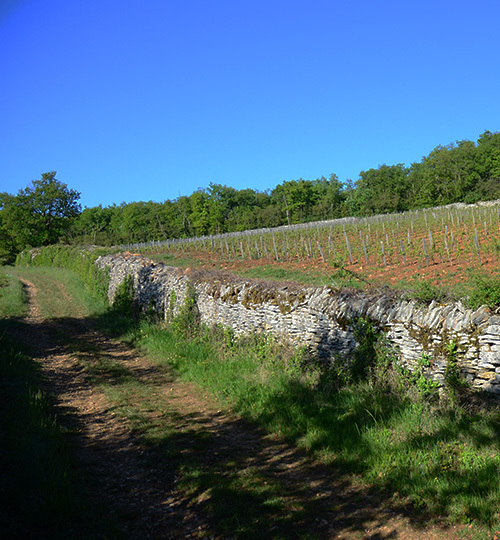 It took us nearly ten years to get the land ready for planting: we had to prepare the soil and adapt the vineyard to tractor use, all the while ensuring we kept all the walls! 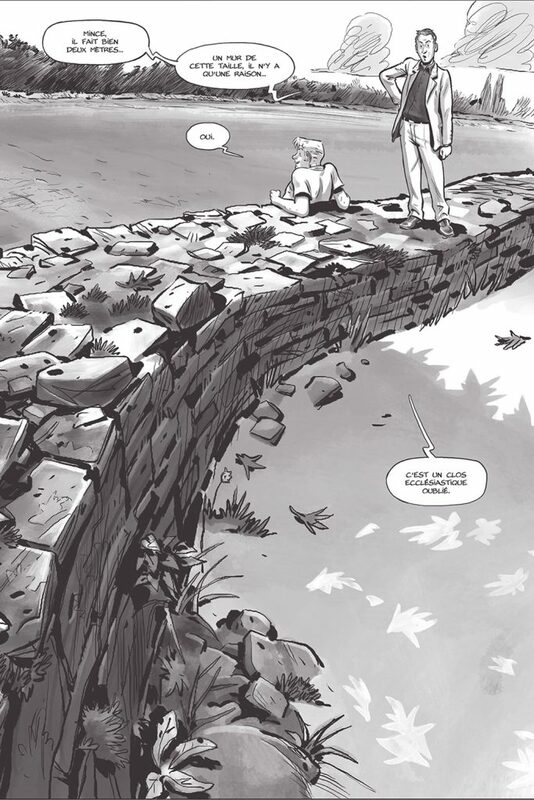 We wrote a fictional version of the story of the clos in the graphic novel “Un Grand Bourgogne Oublié” (as yet only available in French and Chinese). We started replanting the vineyard in 2011, and in 2015 produced the first vintage. 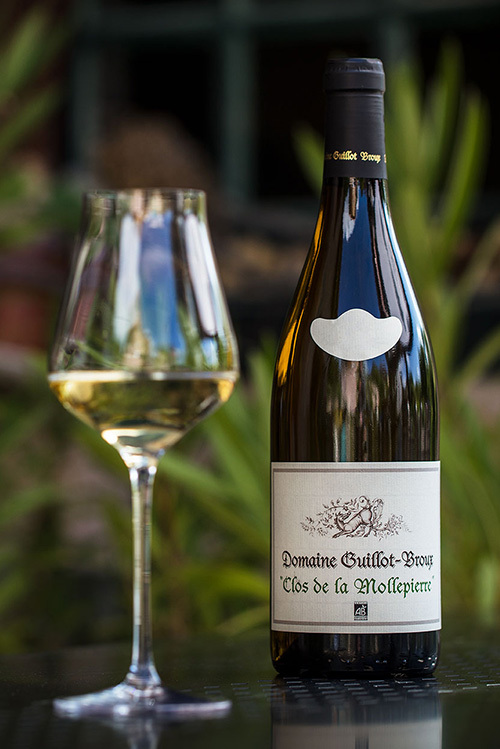 It is already as mineral and complex as Les Perrières, and will no doubt be an exceptional wine in years to come. 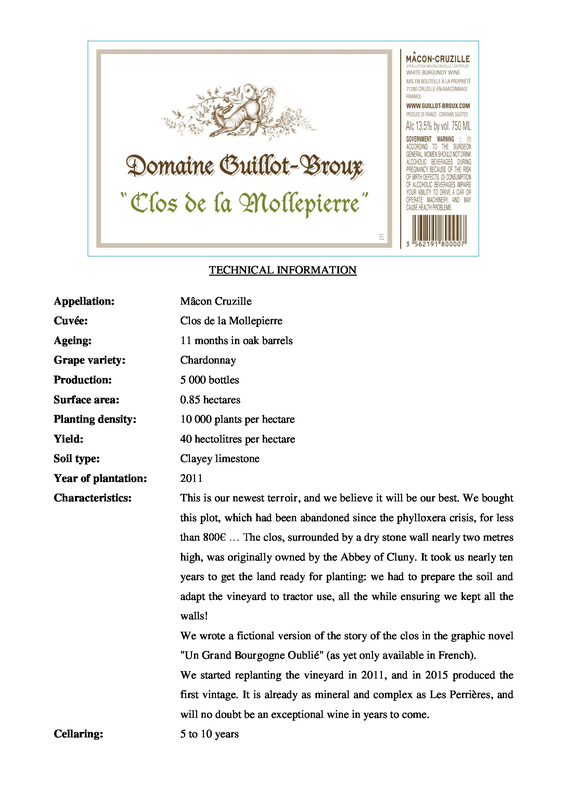 The Domaine Guillot-Broux has been certified organic since 1991. We plough, and use natural methods of fighting parasites, green manure, organic fertilisers, and mineral sprays with stable active molecules that leave no residues in the wines.